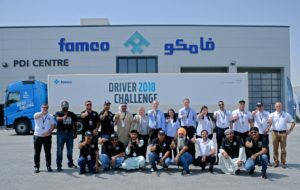 Al-Futtaim Auto & Machinery Company (FAMCO) has named the best truck driver in the UAE in the 2018 Volvo Trucks Driver Challenge. The global competition, hosted by Volvo Trucks, is bold new initiative which sees truck drivers put their skills to the test in a challenge of fuel efficiency, safety and productivity. The UAE part of the Driver Challenge saw 35 drivers from across the Emirates participate over four days, showcasing their driving capabilities. 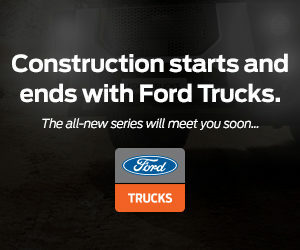 At the end of the Driver Challenge event one winner was crowned Volvo’s best truck driver in the UAE. Pakistani national, Mr Younis Khan, from a Ras Al Khaimah-based company, completed 50km. In second place was, Mr Khalil Hamza, from Sharjah and the third runner up was Mr Marcello Penamante from Fujairah. FAMCO will be flying Mr. Khan to the live final of the global competition – which will be held at the Volvo Trucks Experience Centre in Gothenburg, Sweden in September – where he will compete alongside the top drivers from 42 countries for the world title. Using Dynafleet, Volvo Trucks’ fleet management system, drivers can measure fuel efficiency accurately based on four key aspects – braking, speed adaptation, engine and gear utilisation and standstill.